Power BI service content packs allow Power BI users to quickly connect to variety of services and get customized reports and dashboards built on top of their data from those services. To learn more about Power BI service content packs, click here. We are continuously working with Partners and SaaS applications owners to onboard them to the Power BI Content Packs ecosystem. With many partners continuously developing new content packs and updating existing ones, we wanted to start a monthly blogpost to share with you the newly added content packs in the Power BI service. Note: If you would to build a Power BI content pack for your own SaaS application, here is our documentation on how you can get started. 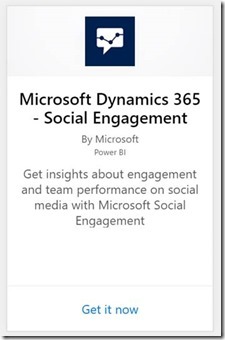 This content pack allows you to connect to your Microsoft Social Engagement solution to get insights about your team’s engagement performance on social media. It is designed specifically for community managers, providing performance metrics for engagement actions taken from within Social Engagement. Track metrics, such as number of actions taken and average response times, and get visibility into the performance of each member of your team. Power BI automatically creates the dashboard and reports that give you a great starting point for exploring and analyzing your Social Engagement data. Learn more on how to get started. 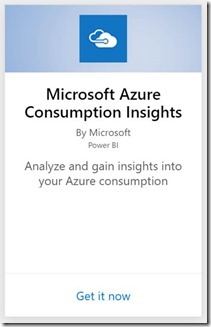 Using the Microsoft Azure Consumption Insights content pack, now you can get rich insights into your Azure consumption (up to last 36 months) across multiple dimensions such as department, account and resources. You can also view your most recent Price Sheet. You can learn more about how to use the content pack. 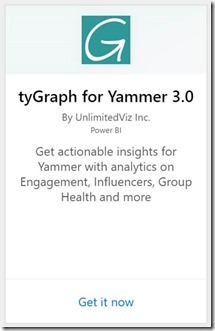 The tyGraph for Yammer 3.0 content pack allows you to get actionable insights for Yammer with reports showing you metrics including Top Contributors, Top Groups, File Views and much more. 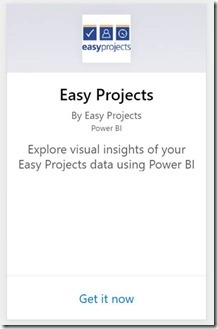 The Easy Projects content Pack allows you to import and analyze data from Easy Projects (project management platform) using Power BI. The content pack is designed to showcase some of the possible visual insights that can be created using Easy Projects data in Power BI. The Microsoft Dynamics 365 For Financials team have recently added some new content packs that are targeting different specific scenarios like gaining insights into the sales lines that make up a sales order, monthly costs and the most recent status of your jobs or sales activity, balance due and available credit for your customers. 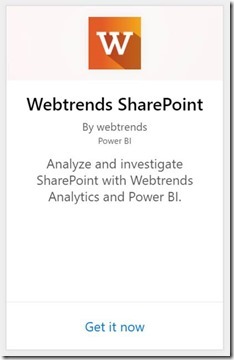 Webtrends for SharePoint is a Content Pack to analyze the key metrics for your SharePoint website using the latest Webtrends Analytics SharePoint Space and report set. 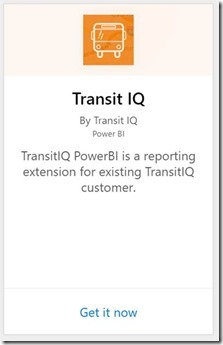 TransitIQ for PowerBI provides subset of reporting, available to existing TransitIQ customers on the customer BI portal. With PowerBI, users can now connect to their transit data directly and build their own reports, in case existing reports on customer portal don’t fulfill their needs.